There are both weekly and 10 step reward charts / sticker charts on this site. The weekly charts start either on Sunday or Monday but you can change the days if you prefer. 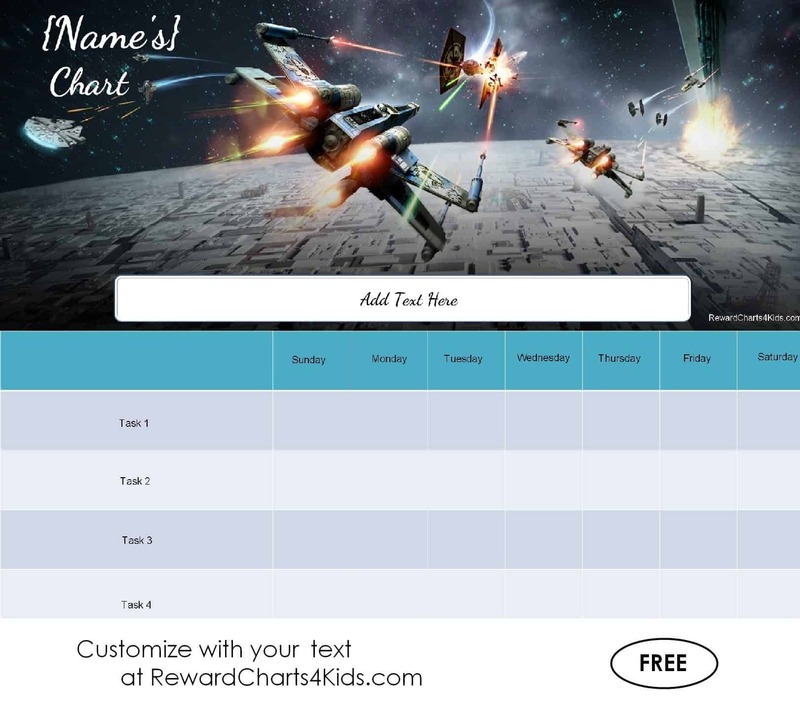 You can also add your own text, title and list of goals or chores. 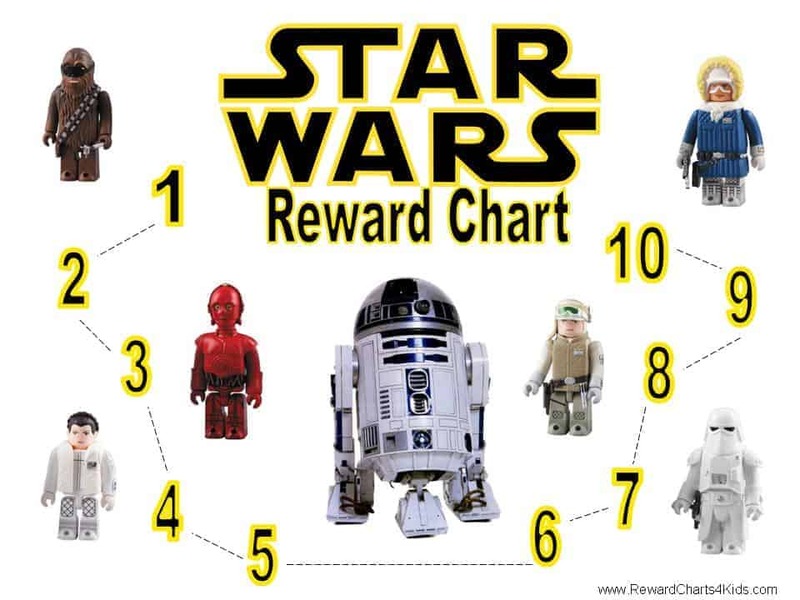 This chart can be used for multiple purposes. 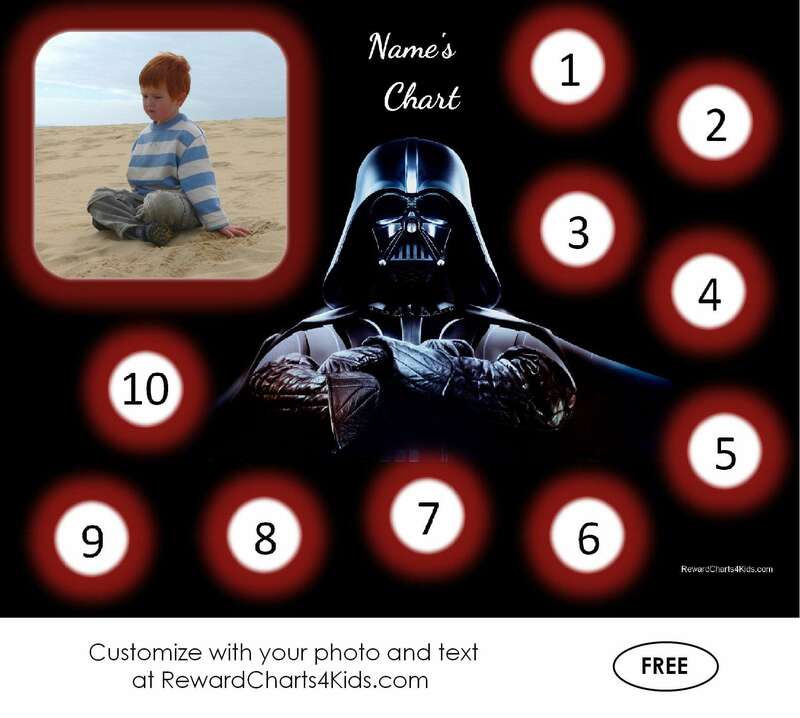 You can also add your child’s photo to personalize the chart. 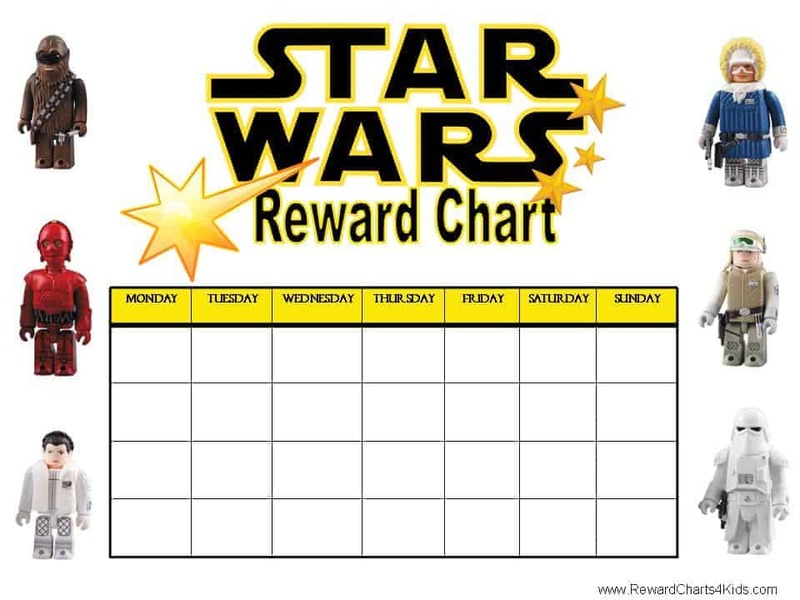 This sticker chart can be used to target one behavior. 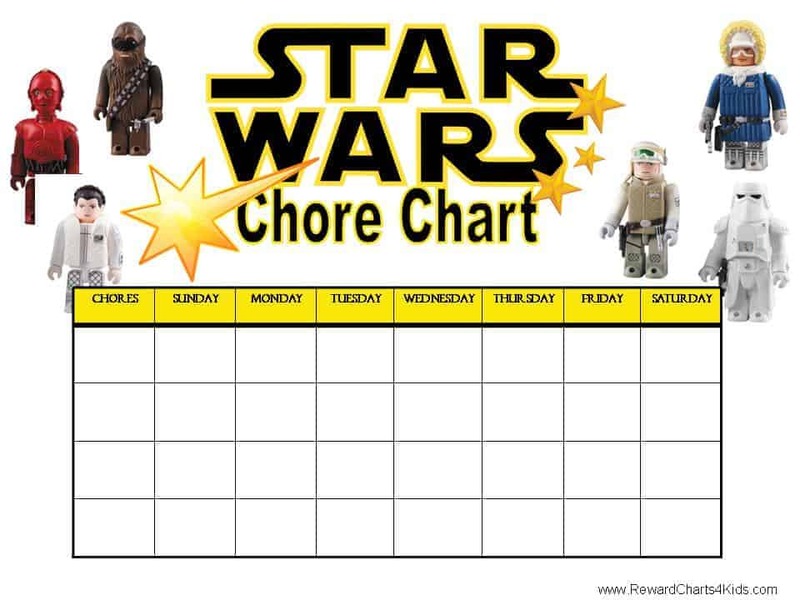 If you want to add your chore list before you print this chore chart then just click on “customize” below. You can also add your child’s name. If you are using the chore chart for a family then write your family’s name instead of the title and instead of the chore list write each person’s name. Once they have completed their chores then you can mark their name. 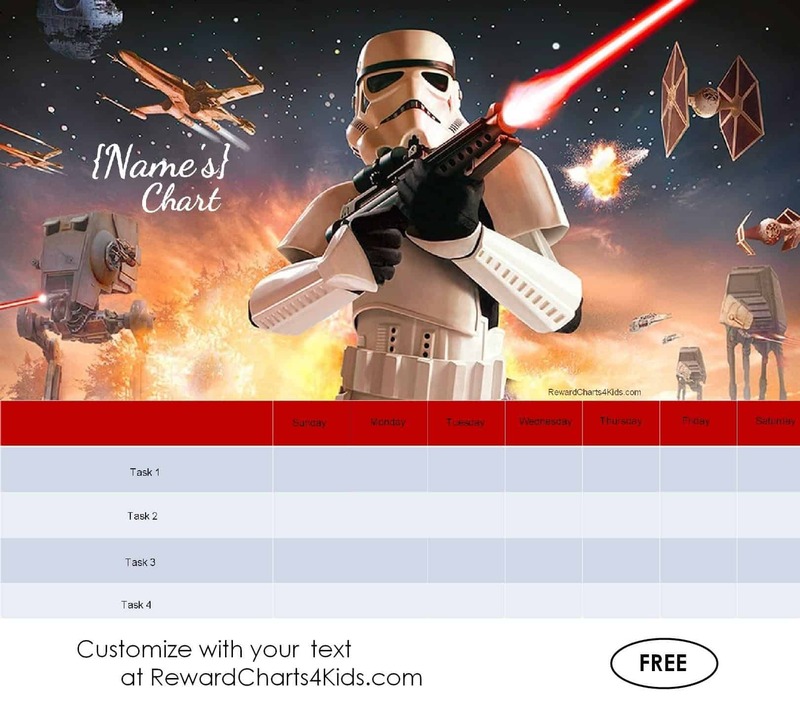 This is a great chart to use if all of your children like the Star Wars theme. Claire, I just checked this and it works. Try and click on one of the corners of the images and not exactly on the pin it button. I tested all of the sticker charts on this page and I managed to open them all. Once you open you print via your browser (i.e. file -> print). If it doesn’t work for you then please let me know. These are so adorable…BUT cannot get ANY of them to print. Keep getting an error code when I upload a pic. Tried one that doesn’t require a pic & still can’t get it to print. Really want one for my son’s new med. Please let me know if they get fixed. I checked them and they open for me. Can you please try again. What browser are you using? If you still can’t print them then let me know which one you want and I will send it to you by email. Well, I really love them all but I was choosing one that I think was spider man, where you can insert a photo. He has a rare diseases…just got a new med & I promised I’d make him a new chart. 😉 I have a MAC. Not certain what I’m doing wrong… I so appreciate the quick feedback. Going to pin this & say how nice you are!!!! Firstly, I wish him well. Try opening it directly with this link. If it doesn’t work then let me know and I will make it for you and send it to you by email.